In just the last few years, traditional collaboration-in a meeting room, a conference call, even a convention center-has been superseded by collaborations on an astronomical scale. 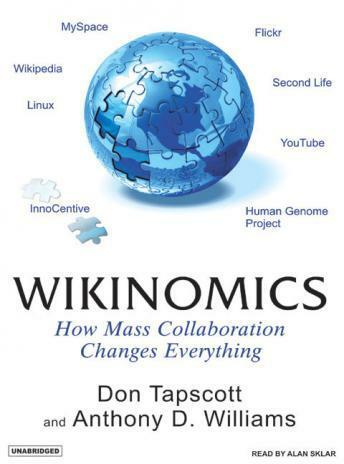 A brilliant guide to one of the most profound changes of our time, Wikinomics challenges our most deeply rooted assumptions about business and will prove indispensable to anyone who wants to understand competitiveness in the twenty-first century. -Rob McEwen, the Goldcorp, Inc., CEO who used open source tactics and an online competition to save his company and breathe new life into an old-fashioned industry. -Flickr, Second Life, YouTube, and other thriving online communities that transcend social networking to pioneer a new form of collaborative production. -Mature companies like Procter & Gamble that cultivate nimble, trust-based relationships with external collaborators to form vibrant business ecosystems.